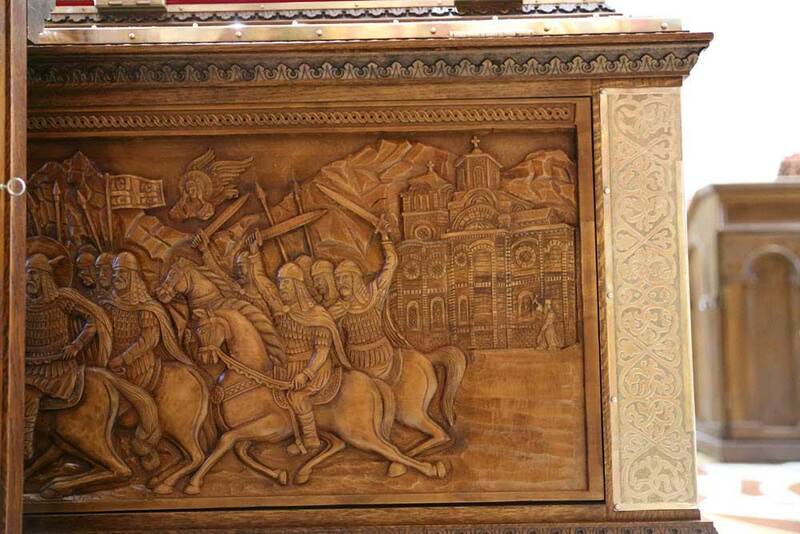 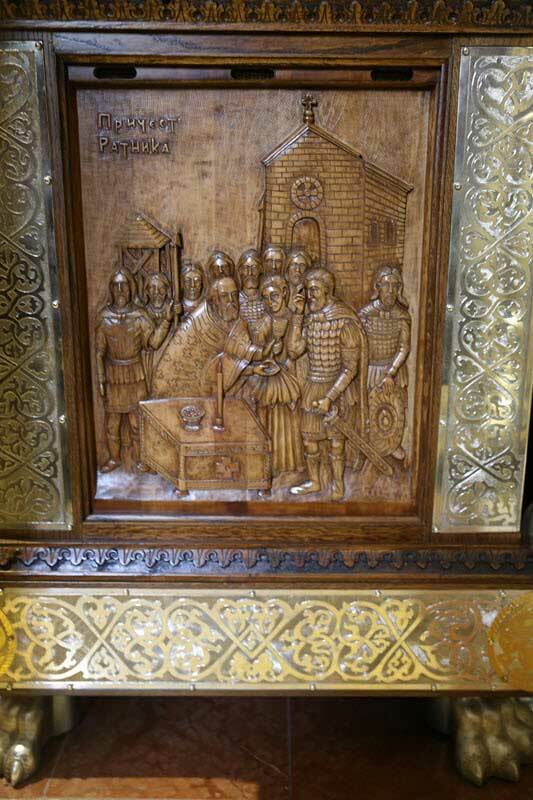 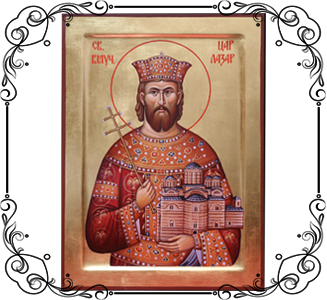 The relics of the Holy Prince Lazar were brought for the first time to Ravanica in 1390 from the church of the Holy Ascension in Pristina. 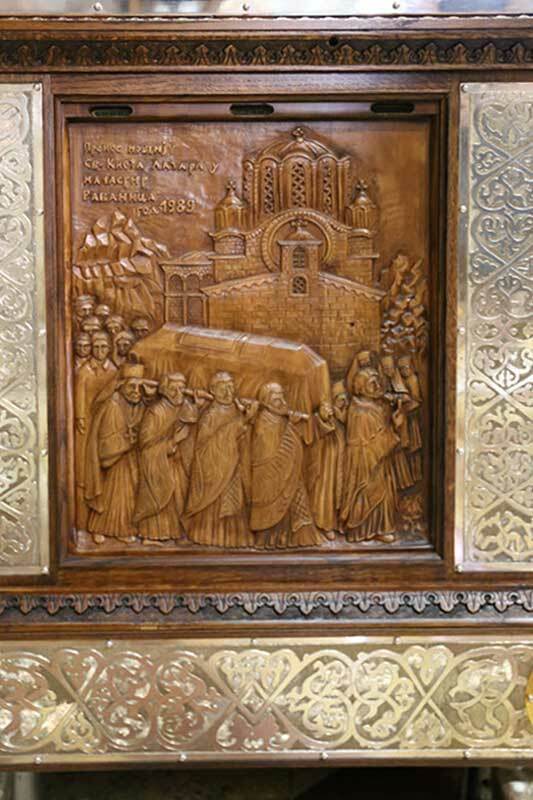 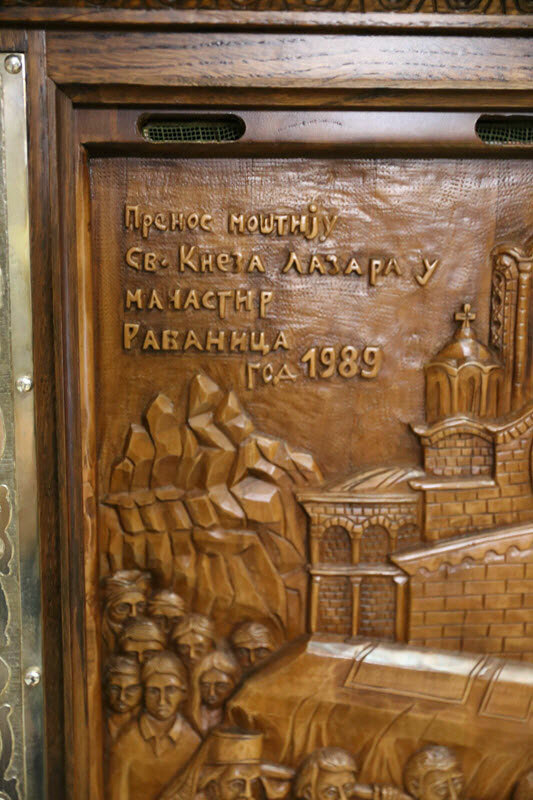 In 1690, the Ravanica monks during the Great Seaboard carried the relics to St. Andreja with them. 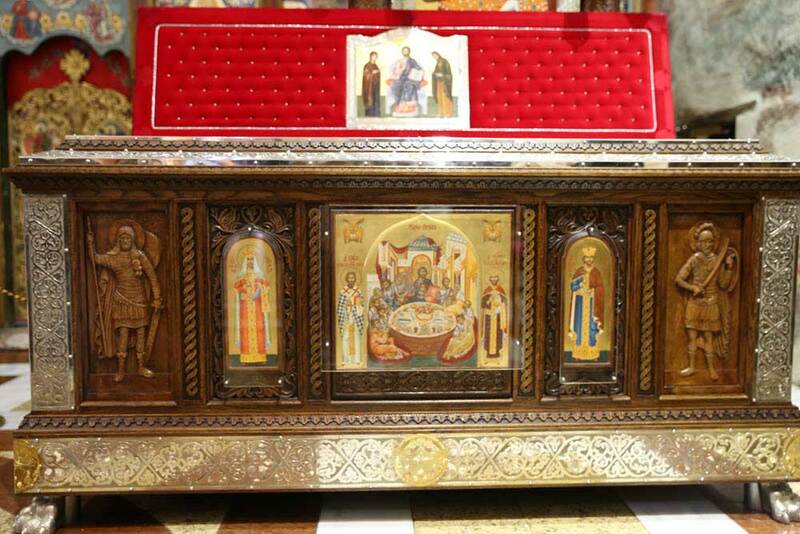 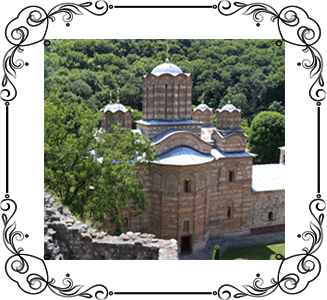 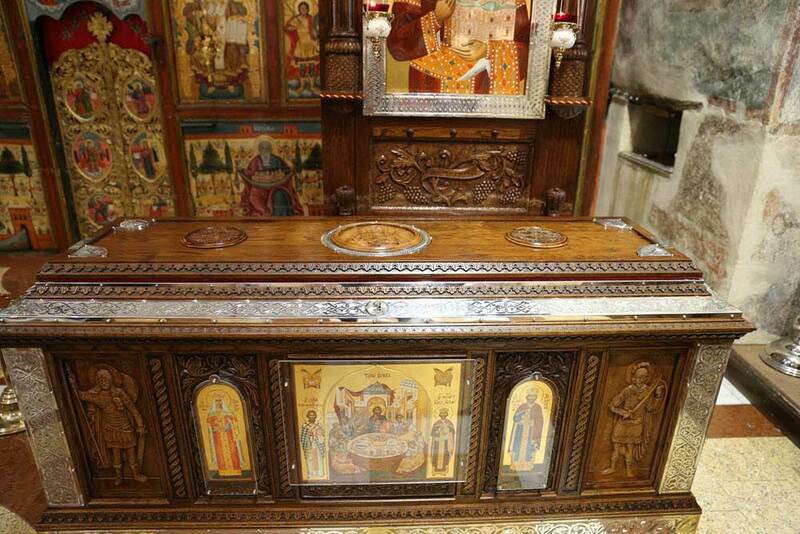 After seven years, the relics were transferred to Vrdnik to the Monastery New Ravanica where they remained until 1942. 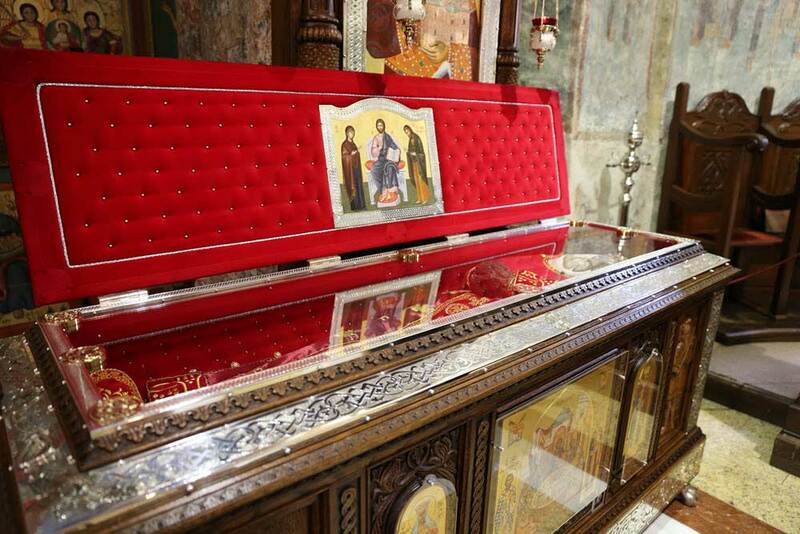 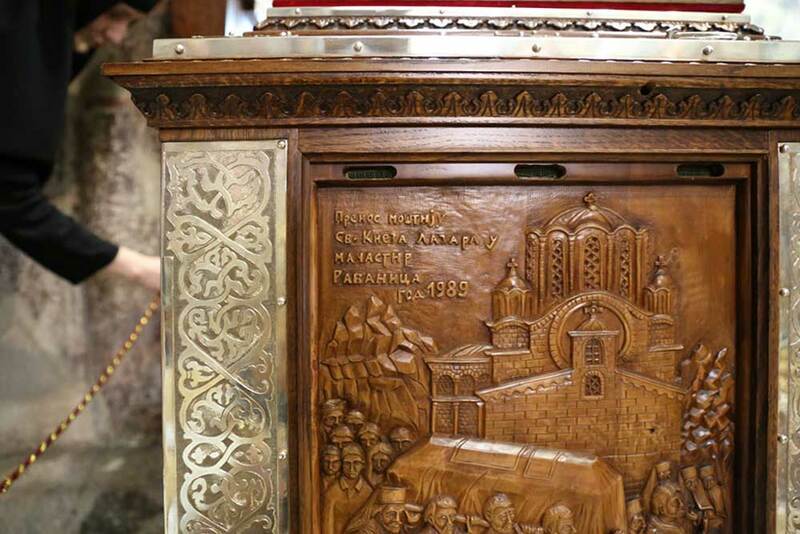 On the takeover of Metropolitan Josif, professor Radoslav Grujic transferred the relics from Vrdnik to the Saborna church in Belgrade. 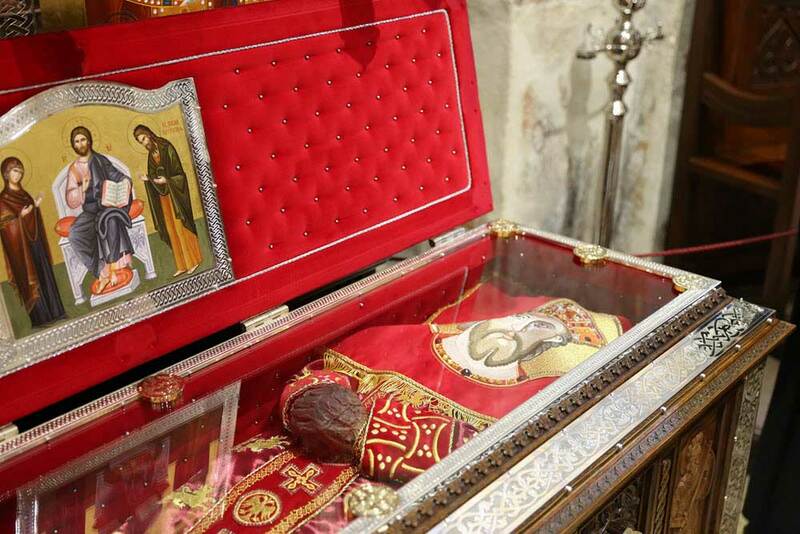 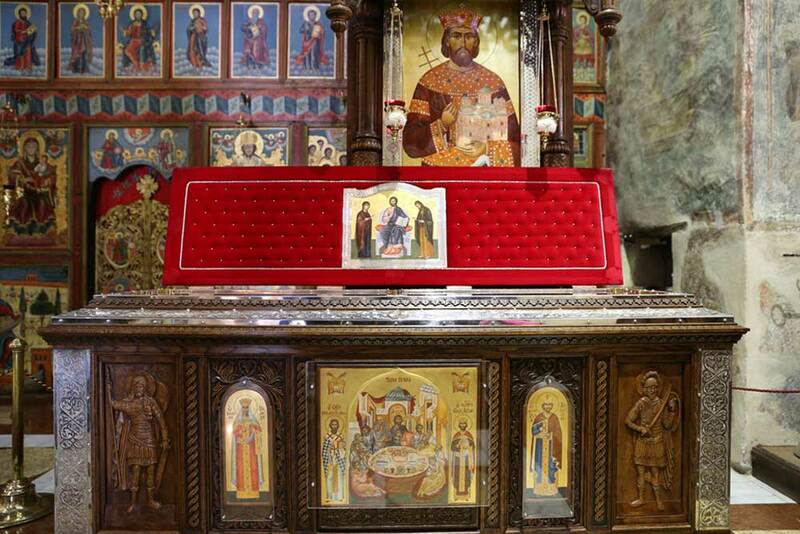 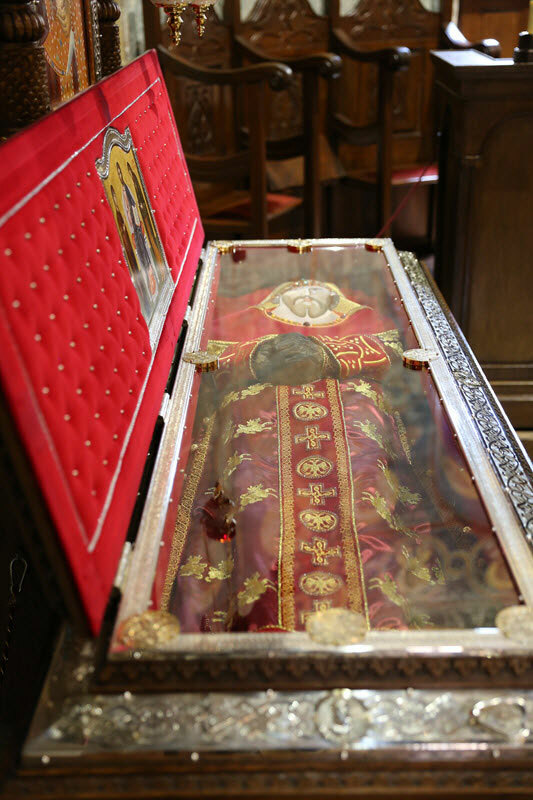 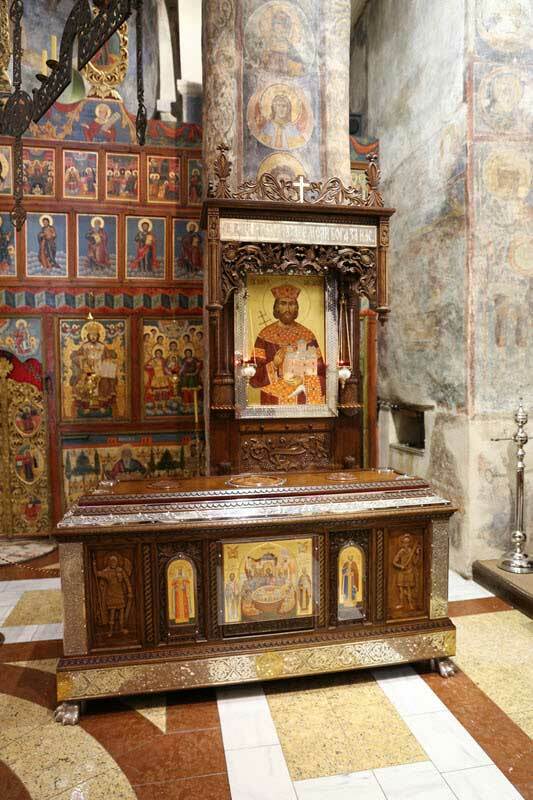 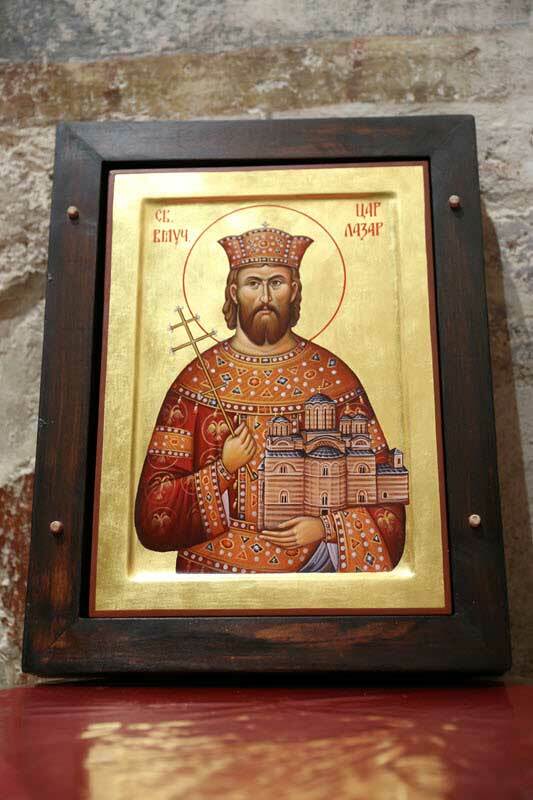 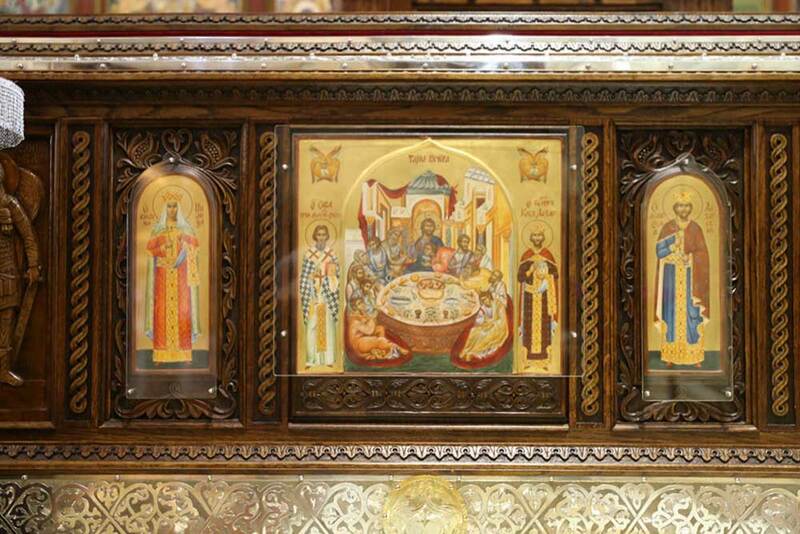 After nearly three centuries the relics of Saint Prince Lazar on 9th September 1989 were placed back in its endowment, Ravanica Monastery, where they now stand. 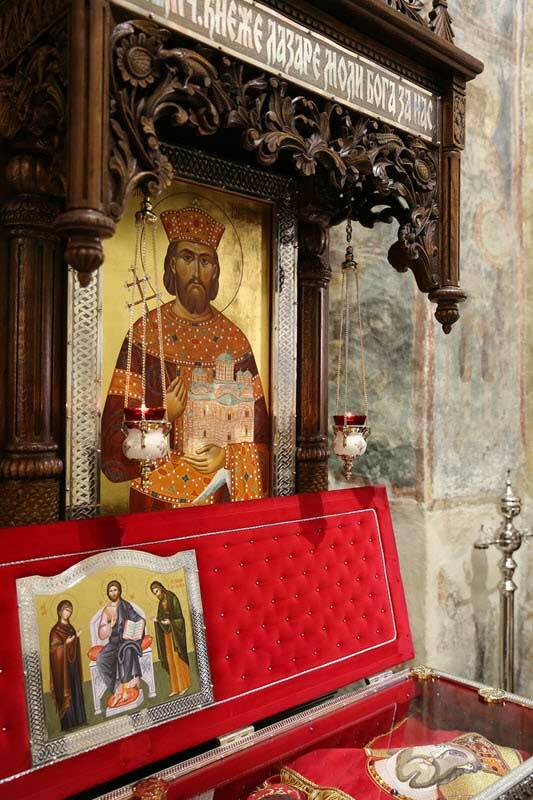 Festive welcome of the relics was attended by a larger number of bishops with the monks and clergy, as well as a large number of believers brought together to express gratitude and admiration of the Holy Prince Lazar and their immortal and peerless knights and warriors for everything he did for his Serbia and for all Serbian people.